I've recently upgraded my membership and have noticed quite a big drawback in the mobile app. As it is advertised, the upgraded membership allows to see the bid range among those who applied for a job. Although it is the case when browsing the offers on the computer browser but isn't in the mobile app. 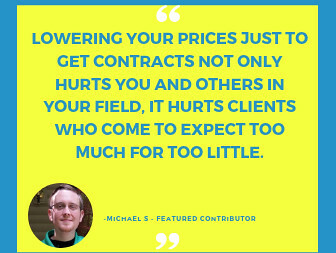 The whole platform is created for freelancers, so those who are often on the move and would likely use the mobile app with the same level of functionality. Can you please fix it? Apart from the imprecise offer description, it's just a useful funcionality that should be there. PS. Hope I'm not doubling any similar thread. 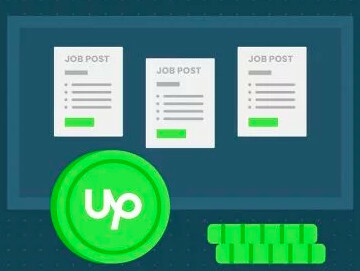 Are you using Upwork App on Android or iOS? Thanks for such quick response. Could you please share a screen grab of the issue you are experiencing, plus your OS version, and your phone's model so that we can include this in our report? Although it's a bit problematic to capture something that's missing, I attach here below an image of how a random offer looks like on the phone. The iOS is 10.3.3 (14G60) on iPhone 5s. 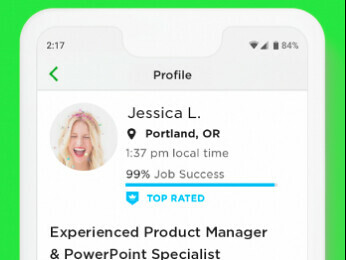 I would need the screen grab so that I can point out to the Support Team that there's a missing section in the job posts on mobile (if you're on a Plus Plan). I will share this with the team so that they can look into it. Sidebar: What app did you use to capture the whole screen? I'll attach the separate files of this offer from original capturing and after it got over 10 bidders (which I've learnt is an amount necessary in fixed pricing to see the range) in consecutive replies. Thanks for providing the screenshots Jan, our team will review and follow up with you directly with more information soon.